Liverpool FC and Italy footballer Mario Balotelli has been attacked on social media by racist trolls more than 4,000 times this season - more than any other player, according to football anti-racism watchdog Kick it Out. 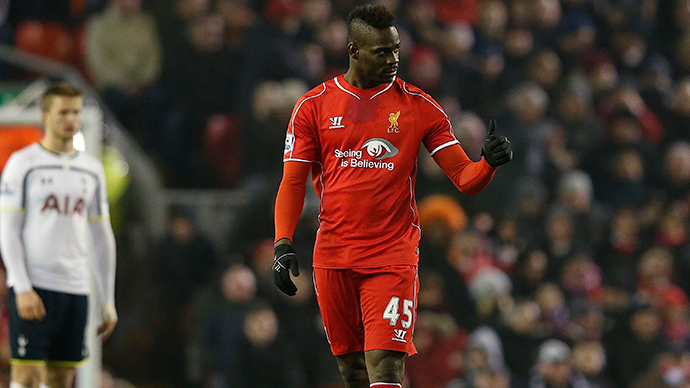 Arsenal’s Danny Welbeck and Balotelli’s Liverpool team mate Daniel Sturridge received 1,000 racial slurs each. Kick It Out reported there had been 134,000 abusive posts this season, of which 39,000 were directed towards top flight players. Carried out in conjunction with the sport agency Tempero and analytics firm Brandwatch, the study examined a season’s worth of social media abuse. The finding were so alarming that Kick it Out have announced they are forming a special group to tackle the issue in conjunction with social media and internet safety companies, the police and football clubs. Kick It Out director Roisin Wood told the Daily Telegraph: “It is really shocking. We knew there was an issue but even we were shocked by how many the players have received. For one player to have received over 8,000 abusive messages is phenomenally awful. “You cannot accept players getting that level of abuse so we want to bring this expert group together to see how we can address this,” she added. The findings are in line with those of another recent study by Show Racism The Red Card, which were published in Match this year. It was found that racism remains widespread in English football. The investigation, including data from 24 police forces across the country, reveals there have been more than 350 race-related incidents in the game since 2012. As the investigation only accounts for around half of UK police forces, the real figure is likely to be far higher. Chelsea FC fans have been involved in the highest number of racist incidents, while traveling to and from matches, with over 15 cases, British Transport Police (BTP) revealed. The figures come after a video emerged online showing a black man being prevented from boarding a train by Chelsea fans in Paris while they sang racist songs. Manchester United and Leeds fans came joint second with 10 incidents each, followed by West Ham with eight, Portsmouth with four, and Arsenal also with four.